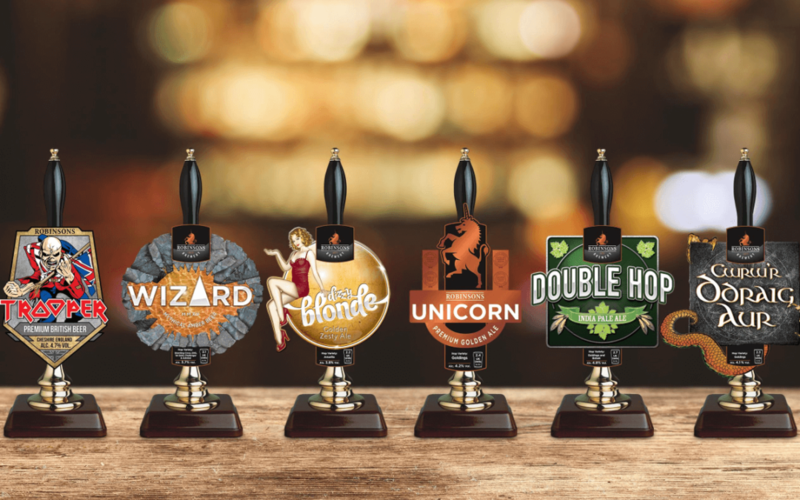 Robinsons Brewery have once again partnered with ‘There’s A Beer For That’ to bring their second ever ‘Beer Club Live’ event to the award-winning Visitors Centre in Stockport on Tuesday 27th June from 7pm. This year’s event follows on from the success of 2016’s Beer Club Live which saw over forty budding beer sommeliers head to the Visitors Centre for a six-course beer and food matching event led by John Robinson, Brands Manager and sixth generation of the Robinsons family. The event will see six carefully handpicked ales and beers matched against a new six course taster menu chosen by Robinsons’ Executive Chef Christian Whittleworth. This year’s menu includes dishes such as Moroccan pulled lamb, beer braised short beef rib and delicious Thai curry all matched with several beers including Robinsons’ newest addition to the legendary Old Tom family, Blonde Tom; a Belgian style blonde ale with a rich complex flavour. There’s A Beer For That is a campaign backed by Britain’s Beer Alliance with the aim to get more people understanding and loving our national drink by educating consumers about the variety of beer available in the UK and encouraging them to discover different styles that will fit a wide range of occasions and food. The event takes place at Robinsons Visitors Centre, Aspley Street, Stockport, Cheshire, SK11JJ.